Every year, we celebrate April 1st with practical jokes and hoaxes. But, if you’re practicing the following climbing habits, the joke’s on you. Here’s a list of 10 safety tips for you to employ this year, so that you’re not climbing like a fool. It seems every year there’s another story about a climber making the foolish, dangerous, and potentially deadly mistake of rappelling off the end of their rope. Easily avoid this imprudent error by tying stopper knots at the ends or otherwise closing the system before you rappel. 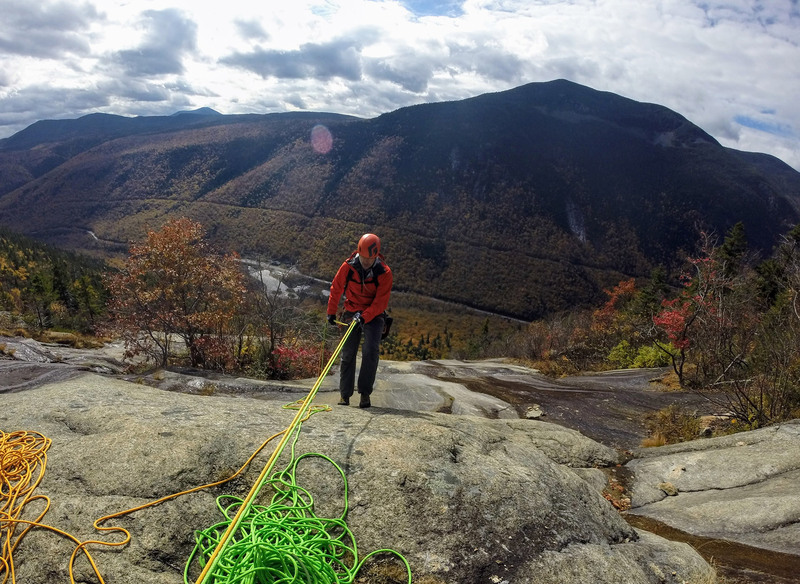 In addition to stopper knots, learning the right way to rappel can prevent you from looking like a fool. 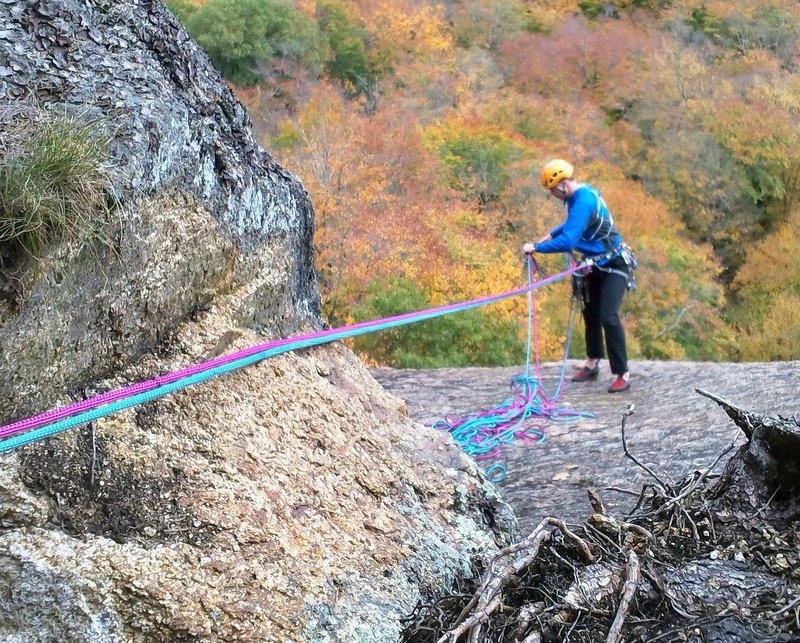 Start by extending your rappel device and using a third-hand back-up. Don’t know what we’re talking about? Here’s a good video from the AMGA showing the whole process. These days, both sport climbs and ropes come in a wide variety of lengths, increasing the odds of making the misguided mistake of lowering your partner off the end. Make sure the joke isn’t on you by tying a stopper knot on the free end before you start climbing. Whether it’s falling debris from above or an impact during a fall, your head is exposed to all sorts of danger when you go rock climbing. Considering that helmets have gotten increasingly light and comfortable, in addition to protecting you from a potential head injury, you’d have to be a fool not to wear one at the crag. Sometimes, the oldest tricks work best. 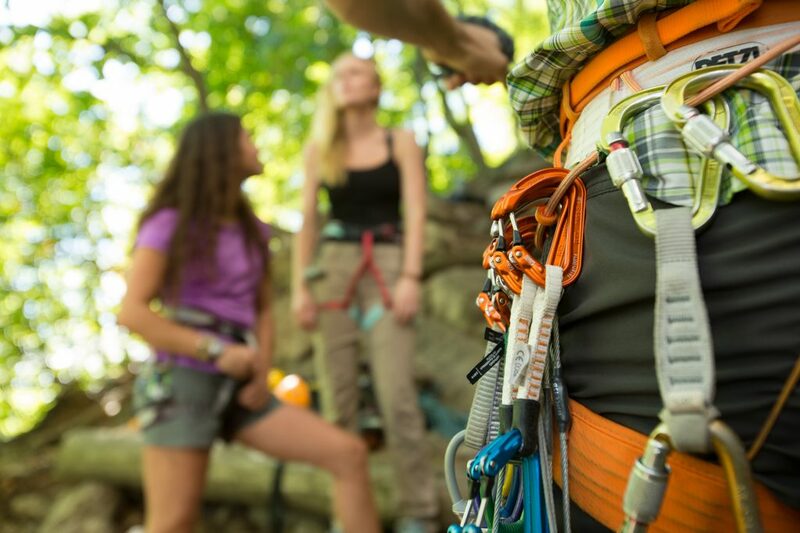 For example, the tried-and-true act of checking to make sure the climber’s knot is tied correctly and the belay is rigged properly before you leave the ground is an excellent way to avoid a joke that falls flat. A potentially catastrophic mistake commonly seen at the crag is climber-belayer miscommunication when cleaning anchors. Before hastily heading up a route, confirm your course of action with your belayer, and stick to the plan. Even better, stop being a clown, and learn the right way to clean an anchor. There’s plenty of time for tomfoolery at the end of the day, and the real trick is getting everyone home safely. 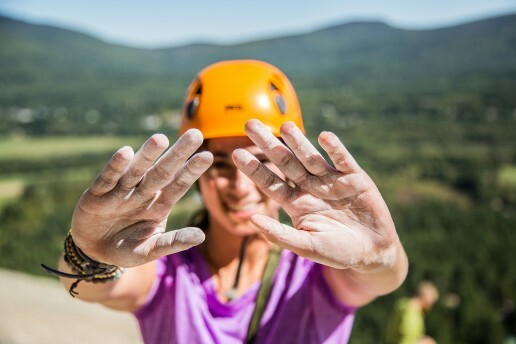 Since the belayer literally holds the life of the climber in their hands, all of the attention should be focused on them—not on clowning around at the base of the climb. Driving to the crag alone is awesome…April Fools! Don’t do this—it’s expensive, it’s bad for the environment, and most crag parking lots have a limited capacity. Try carpooling, even if it’s only for part of your drive. While you’re at it, check out these outdoor podcasts to keep the drive from getting monotonous. Thinking that access, fixed gear, and keeping the crag clean just happen is the pinnacle of buffoonery. Consider donating to the Access Fund, or a local climbing association, like the Rumney Climbers Association or the Gunks Climbers’ Coalition. Better yet, volunteer for a cleanup day, or perform the ultimate stunt by practicing Leave No Trace. Do you have a good tip to avoid being the crag jester? If so, we want to hear it! Leave it in the comments below. With spring’s mild weather arriving early this year, it’s time to venture outside, and remember what it feels like to be on rock. If you’ve spent the winter pulling plastic or you’re simply excited to get outdoors, check out one of these excellent early-season climbing destinations. Just minutes outside Providence sits Lincoln Woods State Park. 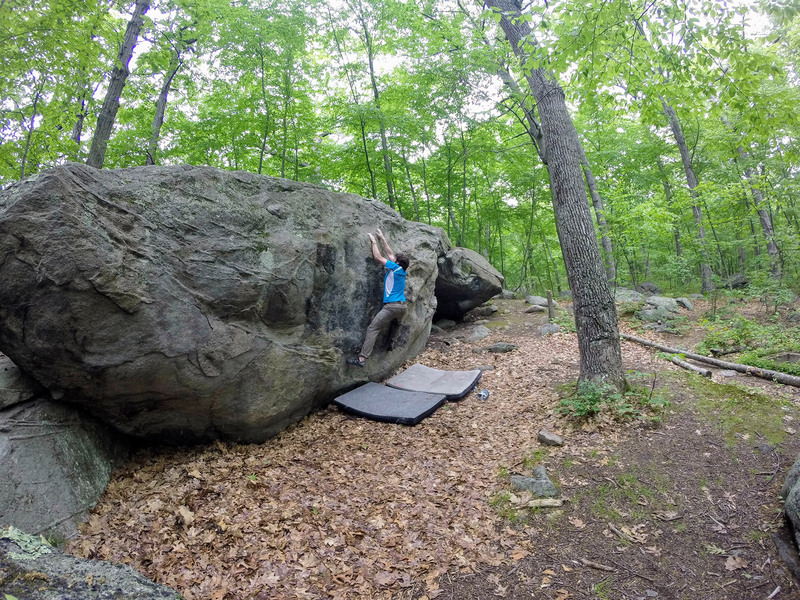 Home to some of New England’s best bouldering, it’s a frequent first stop for many of the region’s climbers. Thanks to its southerly location, it’s rarely exposed to as brutal of a winter, often making the problems dry and climbable, while snow still buries other popular areas. With various boulders scattered throughout, “The Woods” almost always has something to climb, no matter the conditions. In fact, it’s possible to do everything from chasing the sun to hiding from the wind or even avoiding an unexpected spring shower. Even better, because most of the park’s classic boulders are in close proximity, it’s easy to move between them in search of better conditions or a different grade. Just use the park’s loop road and a handful of well-developed climber paths. In March and April, cool mornings and evenings provide the perfect temperatures for finding friction on the area’s granite boulders. Later, cool nights keep the bugs at bay. Further making The Woods a great early-season destination, the wide variety of problems, in terms of both style and grade, allows climbers to acquaint themselves with crimps, cracks, and slabs while gradually increasing the difficulty. While bouldering might be the primary attraction here, Goat Rock has a small amount of top-roping. This roughly 30-foot tall cliff offers some easy slab climbing on its flank and some truly hard climbing on its steep, overhung face. If you are planning on top-roping here, either bring some trad gear or a long static line for anchor building, and beware of broken glass. Quincy Quarries is another fantastic early-season destination. 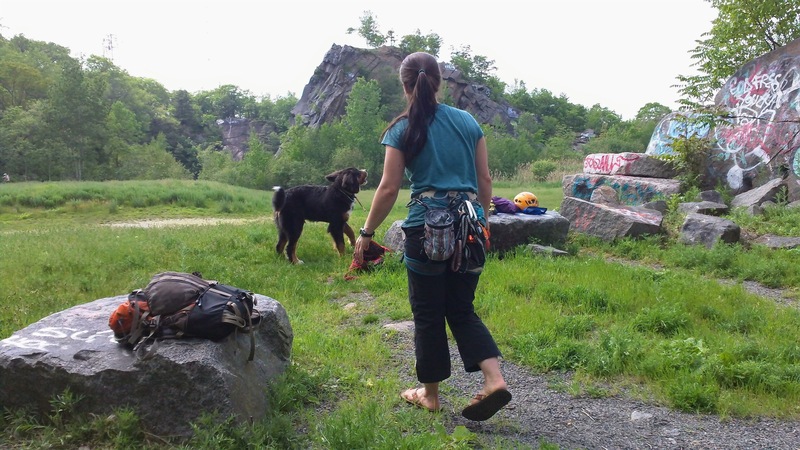 Located just seconds from I-93 near Boston, it offers great single-pitch routes on solid granite, as well as a smattering of fun, moderate bouldering. 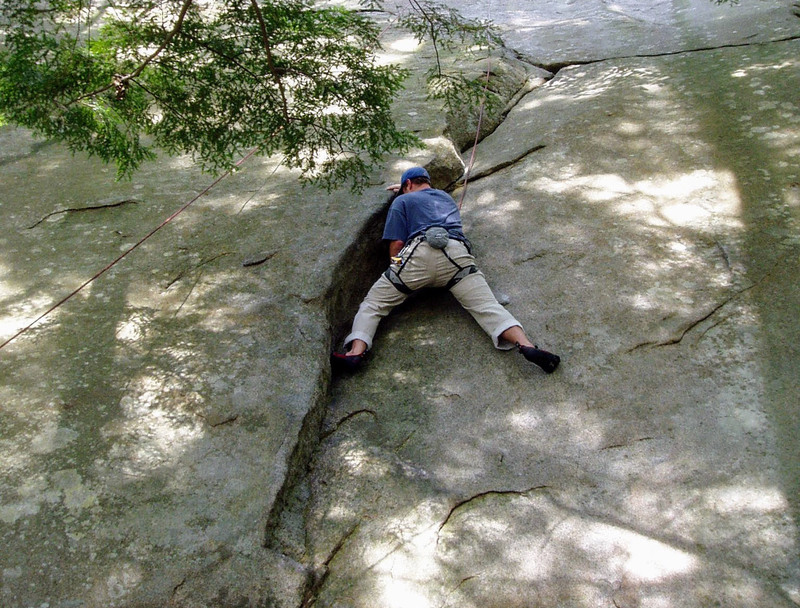 And, just like Lincoln Woods, it is often dry and climbable well before the region’s other areas. While the heartiest among us come here year round, the season really picks up in early March, when area climbers begin longing for “real rock.” During warm weeknights and weekends, you’ll often find locals sending the most popular routes on C Wall, K Wall, M Wall, and Knight Face. Most parties seem to top-rope a variety of routes during their sessions, moving around the crag from one easy-anchor setup to another. You’ll also encounter some solid trad climbing and even a few sport routes. Whichever style you choose, be forewarned. The grades are old-school, and the layers of graffiti covering the first 10 feet off the ground only make the routes harder. As long as it’s sunny, the Quarries can deliver a great outing even on the coldest of spring days. The walls of Little Granite Railway Quarry, noted in the Boston Rocks guidebook as A-F walls, form a natural reflector oven, heating the surrounding area as much as 10 degrees above the ambient temperature. If you end up there on one of those days, definitely check out C Wall’s many top-ropeable routes. 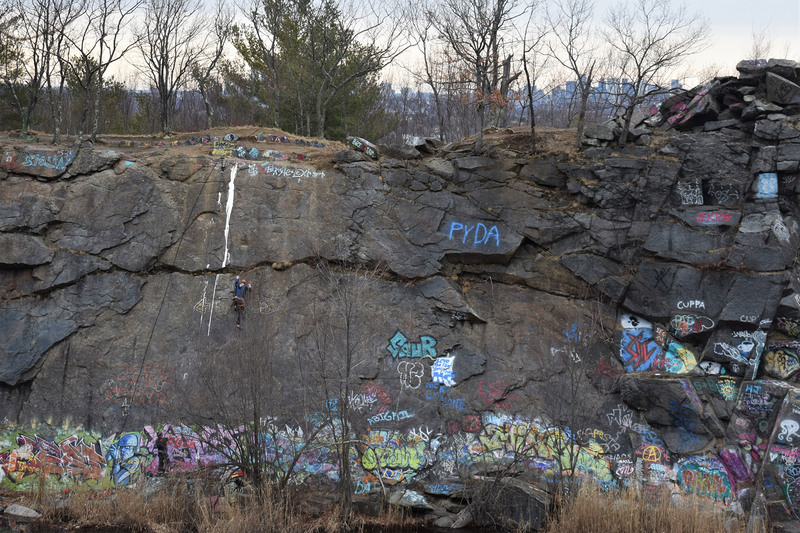 Of course, because the Quarries is a multi-use urban park, the climbers tend to head elsewhere once areas to the north and west “open up.” But, this shouldn’t deter you from checking out the early-season scene. Moreover, once you’ve spent a day or two placing your feet on spray-painted nubbins, the friction everywhere else will feel fantastic. 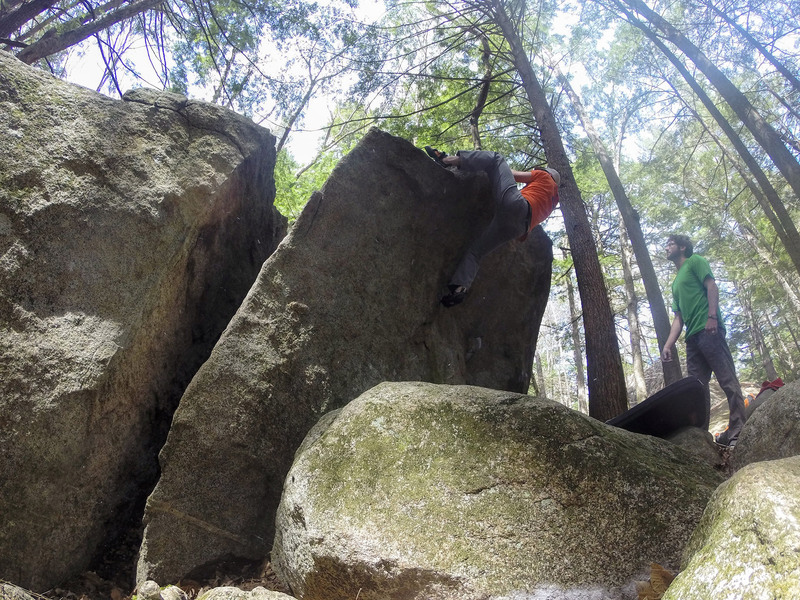 Pawtuckaway State Park, or P-Way, in southern New Hampshire is best known for its bouldering. But, it’s also home to some fun top-roping and short-but-challenging trad climbing. Because of this, Pawtuckaway has become a popular destination. Generally, it’s the perfect place for getting in early-season pitches and problems while you wait for winter to leave and before the bugs arrive. Top-ropers will want to visit P-Way’s Lower Slab for its selection of easy-to-set-up moderate climbs and the large open space at the bottom of the cliff. These factors also make this a popular area for large groups. While the Lower Slab is ideal for rediscovering technique and working noodley winter arms back into shape, the Upper Cliff—located a short walk uphill—offers some stellar crack climbing that can either be top-roped or lead on traditional gear. Before you tape up, don your hand jammies, or go au naturel, however, be aware that what the cracks lack in height, they make up for in difficulty, and the ratings are old school. No trip to P-Way is complete without trying at least one of the area’s renowned boulder problems. A short walk from the cliffs, the Round Pond area receives a lot of sun, and is home to a diverse group of problems. Thus, it’s an ideal place to visit early in the season. 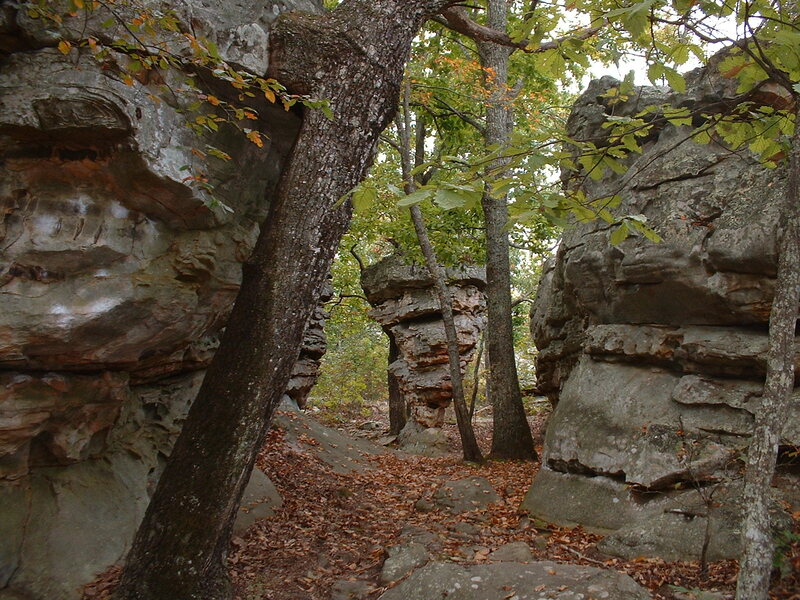 Also a short walk from the cliffs, the Boulder Natural area is home to many of Pawtuckaway’s classic problems. Don’t forget to visit Pawtuckaway’s Blair Woods bouldering area. 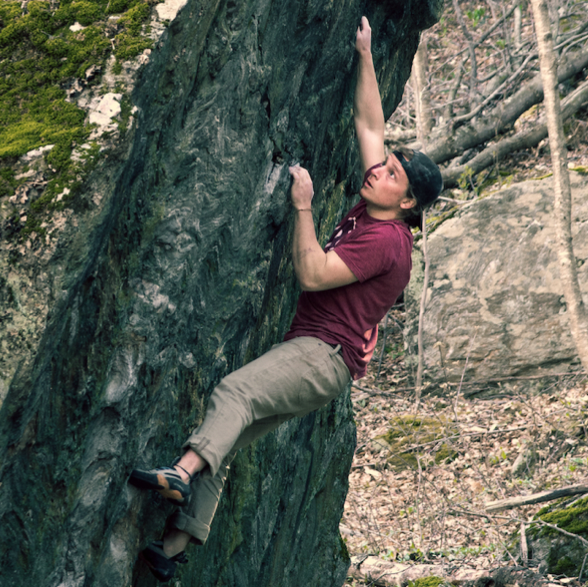 Separate from most of P-Way’s other climbing areas, Blair Woods delivers a large amount of easily accessible and moderately rated problems without the crowds. Like everywhere else in Pawtuckaway, bring the bug spray just in case, and be prepared for the park’s skin-eating coarse granite. What’s your favorite early season crag? Tell us about it in the comments! Whether you’re looking to slide into romance, hike into their heart, or tie the knot this Valentine’s Day, consider one of these awesome outdoor-inspired trips to stoke the adventurous spirit—and the passion—between you and your special someone. 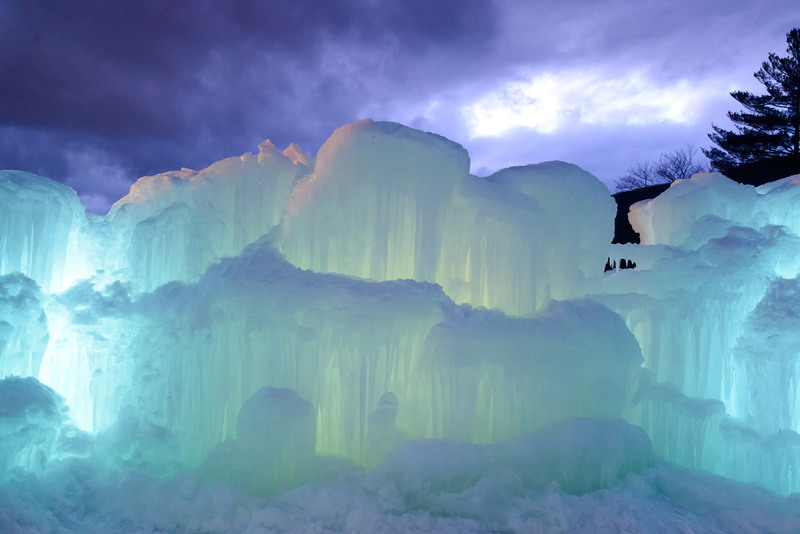 Treat your significant other like the king or queen they are by surprising them with a trip to the Ice Castles in Lincoln, New Hampshire. If you tour the castles early, you can finish the day toasting to your relationship at Seven Birches Winery at the RiverWalk Resort less than a mile away. If wine tastings aren’t your thing, spend the day shredding the gnar at Loon Mountain instead, and hit the Ice Castles at night to see them all lit up. Once there, check out a fire dancing performance, and stay warm with cinnamon buns and cocoa. 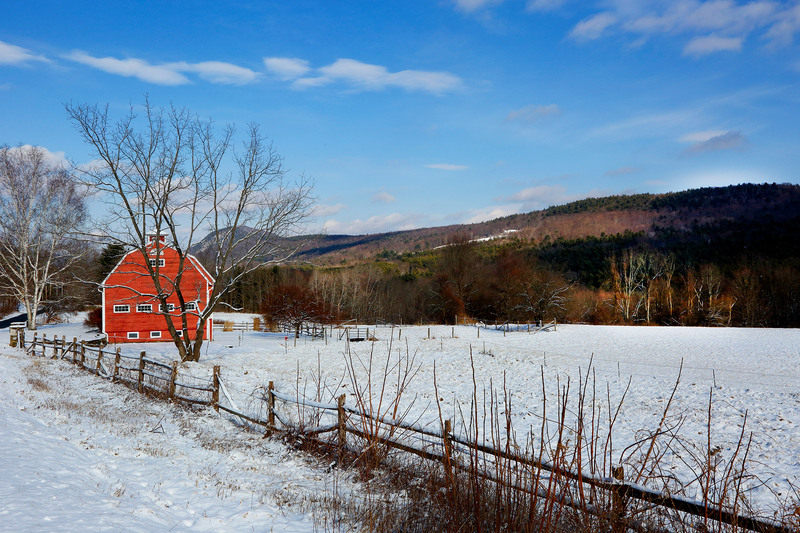 No matter what your winter sport of choice is—skiing or snowboarding, snowshoeing, hiking, or cross-country skiing—there are plenty of places to do it in the Berkshires. So, make Valentine’s Day last an entire weekend by treating your beloved snow bunny to a little bit of everything this winter wonderland has to offer: ski under the lights at Jiminy Peak on Friday night, hike Mount Greylock on Saturday, and then, spend a few hours Nordic skiing on trails designed by seven-time Olympian John Morton at Hilltop Orchards. And, be sure to end the weekend on a high note at Furnace Brook Winery while you’re there. Accommodations in the area range from quaint Rockwell-esque bed-and-breakfasts to lavish five-star resorts, making it easy to find the perfect place to turn up the romance (or just recover from the day’s activities) each night. 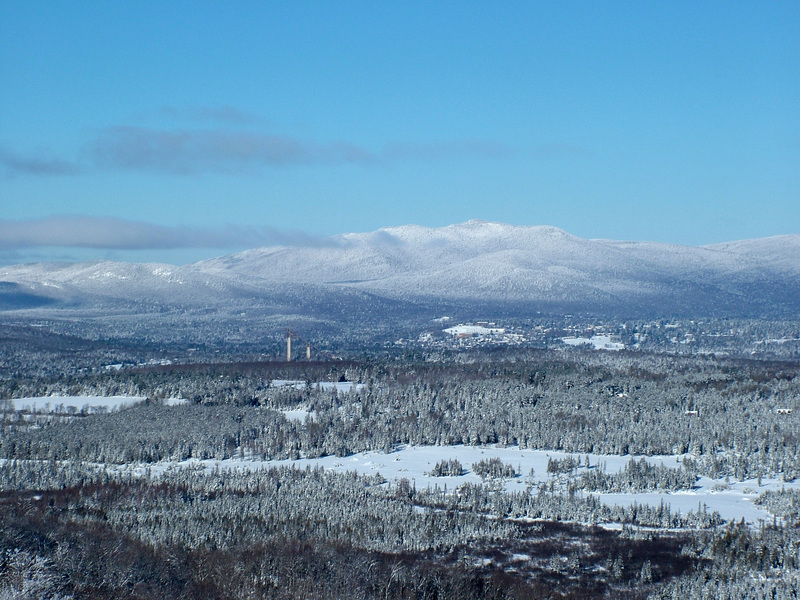 Much like the Berkshires, Lake Placid is basically a winter athlete’s paradise. In addition to world-class skiing and so many great winter hikes that it’ll be hard to choose which one (or two) you want to tackle, this cold-weather haven nestled in the heart of the Adirondacks takes it a few steps further with some of the best ice climbing in the northeast, miles and miles of fat biking trails, and, of course, the Olympic Sports Complex, where you can take a run in a real bobsled, take a biathlon lesson, or ice skate on the same rink the 1932 USA Men’s Speed Skating Team made history with a gold medal sweep. If a date here doesn’t get you a podium finish, nothing will. 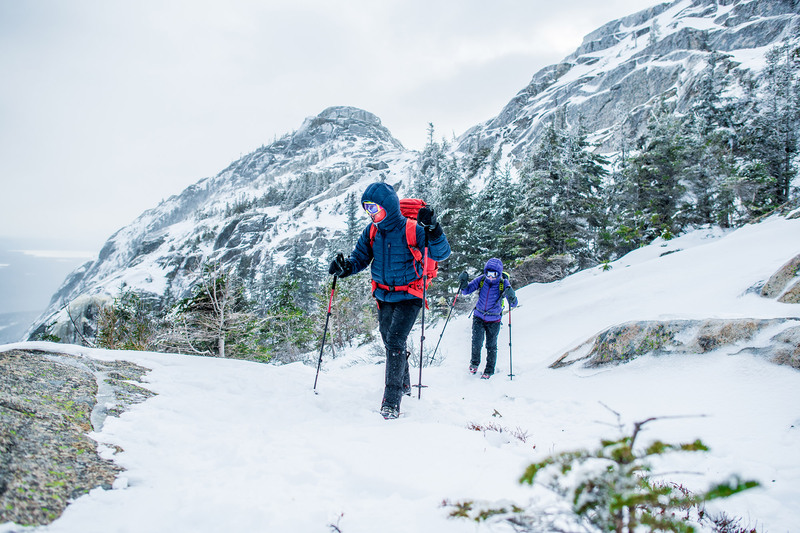 Bring your Valentine to the top of the world, or at least of New England, on one of the literally coolest dates ever: a winter ascent of Mount Washington with the EMS Climbing School. Bundle up and head to North Conway, New Hampshire to show the “world’s worst weather” that you’re not afraid of it. Because even if the snow is falling and the wind is blowing, it shows you can weather the storm; you’ve got your love to keep you warm. Even people who truly enjoy winter eventually reach a point in which they’d like to escape it for a few days. If you and your honey are tired of the cold, use Valentine’s Day as an excuse to head south (or southwest) for a warm-weather climbing trip. I’m someone who is typically so anti-Valentine’s Day that my mom sends me a Halloween card every February 14th, but the year that my now-husband took me to Horse Pens 40 for a mid-February bouldering vacation was the best Valentine’s Day I can remember. 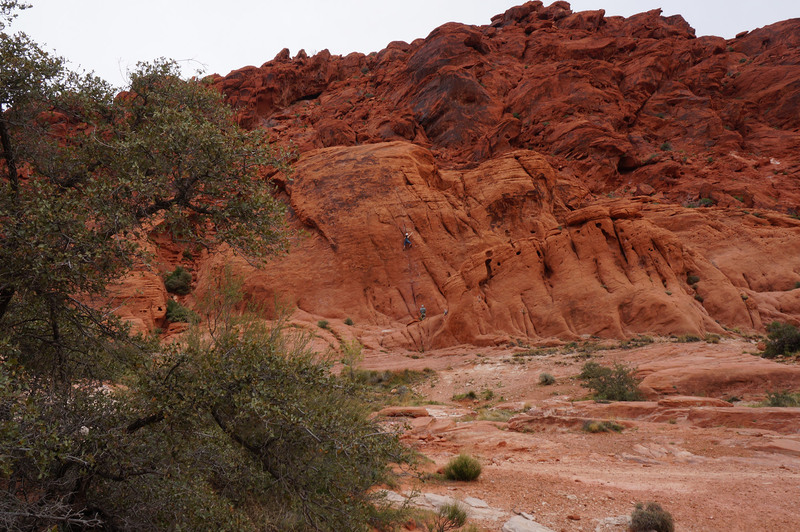 In fact, I almost surprised him with a Vegas Valentine’s weekend to climb at Red Rocks this year, since we both loved climbing there so much last spring. If you’re into grand gestures, a trip like this is perfect…and even if it’s not the rock she was hoping for, I promise she’ll love it. Behind every great photo lies a story, one that describes the process and events leading up to the photograph. To me, the amount of planning and effort you put into its creation makes it that much better, and no photos require more work and preparation than astrophotos. When planning a shoot that involves the night sky, you have to take a few things into account: the equipment you are using, the location, and timing. With astrophotography, the Milky Way is an extremely popular subject. But, depending on what part of the world you are in and the time of year, getting the perfect shot can be tricky. Generally, you want to be in an area with little-to-no light pollution. I use Google’s light pollution maps to help me pinpoint the darkest spots anywhere I travel. Also, the farther south you go, the more you can see the Milky Way and its galactic core. When you are in the Northern Hemisphere, the Milky Way always faces south. So, for this photo, I knew I had to choose a location that would allow me to face in that direction, and Google Earth 3D helped me identify possible spots. And, because I knew I was shooting rock climbers, I also had to find a climbable rock that was pretty exposed to the night sky. 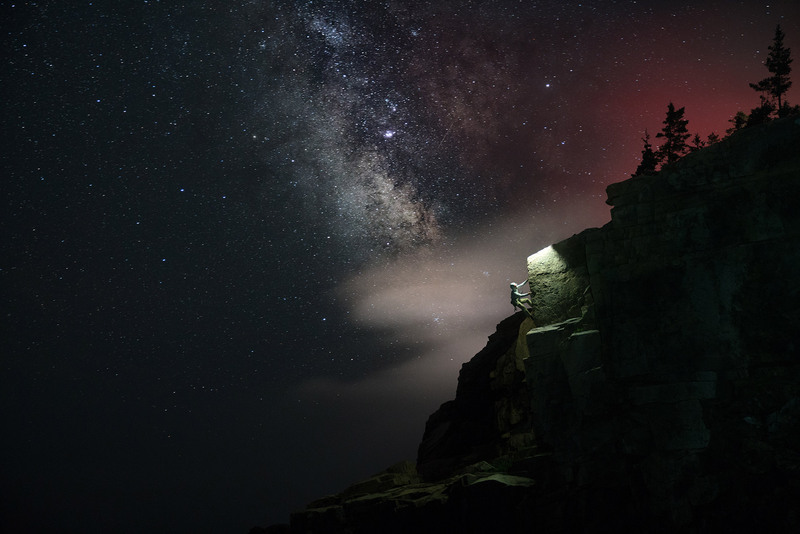 Acadia, Maine, turned out to be perfect. For those in the Northern Hemisphere, the Milky Way’s core can only be seen from February to late October. Depending on what’s in the foreground and where you want the Milky Way to be, you will want to plan your shoot during certain months. 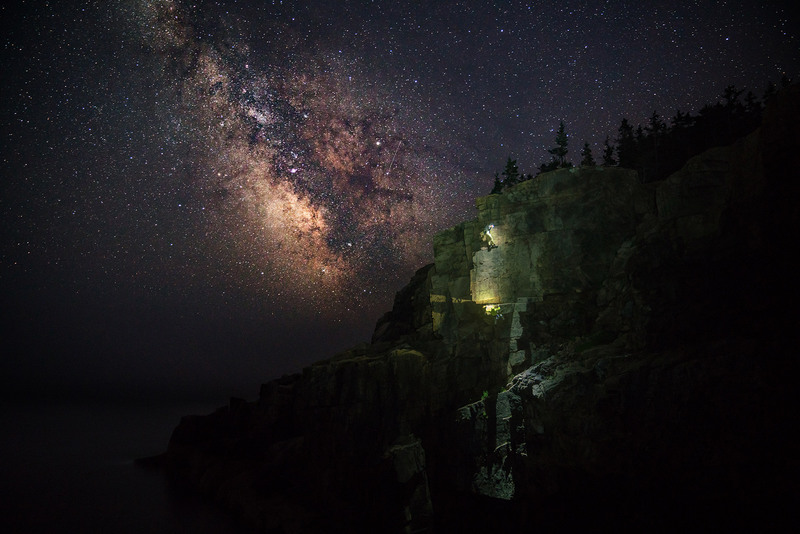 Various apps can help you organize this, and for this specific photo in Acadia, I used PhotoPills. The timing of the year was important, too, because I had to get the Milky Way a couple of hours into its initial rise above the eastern horizon. July ended up being ideal. Most DSLR cameras are great for shooting astrophotography. The equipment that I used was a Sony a7RII with a 24-70 mm f2.8 lens. Usually, you want to shoot the night sky anywhere from 14 to 24 mm—wide enough to see the Milky Way’s vastness. My setting was 24 mm 2500 ISO for 15 seconds. Generally, you can set the shutter speed to 20 or 25 seconds, but I had live subjects, so I had to keep it shorter than usual. Otherwise, any sudden movements would’ve made them come out blurry. After I took the photo, I processed it in Adobe Photoshop first to bring the Milky Way’s details out. Then, I imported it into Lightroom to touch up the rest of the composition and balance the light on the foreground. After your shoot, there are numerous ways to process your work, but these two programs are the most common for night photography. The bliss of cool Sendtember and Rocktober days has finally given way to downright cold, snow-, and ice-covered rock and perpetually numb fingertips. To us climbers, that usually means we either give in to the sterile siren song of the climbing gym, turn in our rock shoes for ski boots, or go full masochist and pick up ice tools to tide us over until our screaming barfies resign and our frozen fingers thaw. But, fear not. While your Rumney project is snowed-in, other climbing areas are coming into their prime, if you can escape the Northeast to check them out. So, take a winter vacation, dig your rock shoes back out, and sample some of the best winter climbing destinations in North America. The American Southwest is undoubtedly the best place to go. Plentiful sun and mild temperatures will melt away your icy Northeastern core. Whether you’re a new boulderer just getting your feet wet or a hardened tradster who isn’t ready to sacrifice your fingers and toes to the ice climbing gods, the Southwest is open to a lifetime of trips. 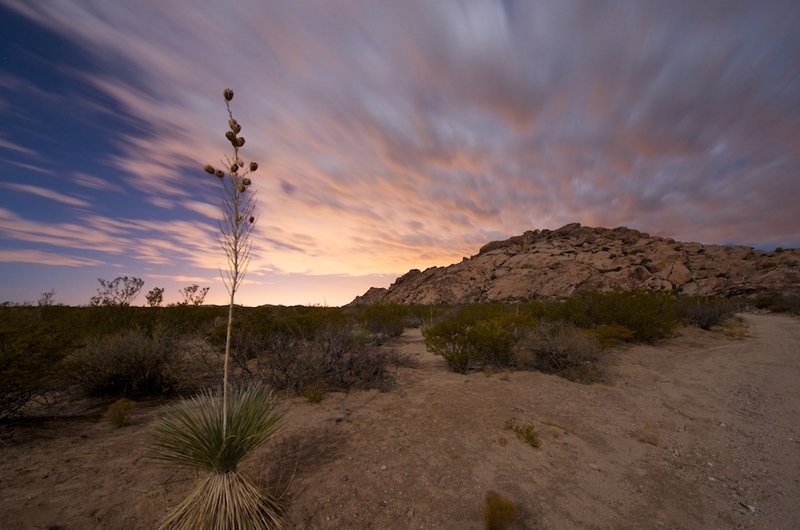 The former stomping grounds of climbing legends like John Bachar and John Long, Joshua Tree’s rock formations beg to be climbed. The park is home to roughly 5,000 routes, so its variety really shines. 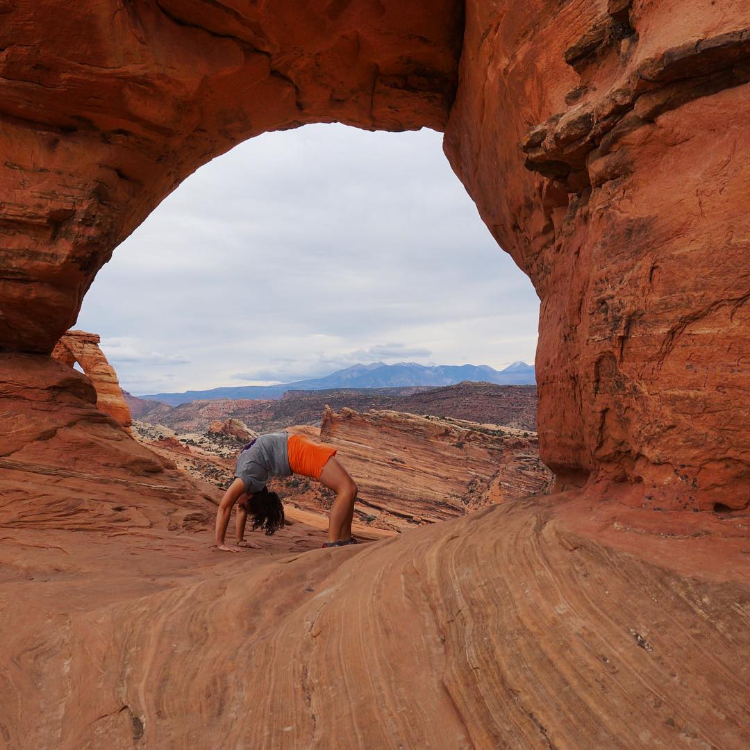 Bring your crack skills and your rack, because you’re inside a wonderland of rocks. World-class bouldering also intermingles with trad climbing here, for those who want to stay closer to the ground. 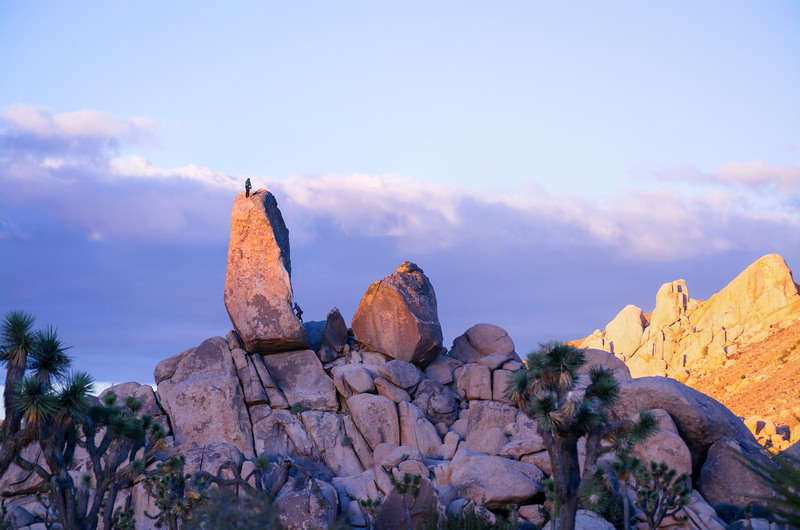 Lodging can be had in the town of Joshua Tree, but if you really want to immerse yourself in the rock, get a spot at either Ryan or Hidden Valley Campground and walk to these world-class climbs. On rest days, go exploring the labyrinths of rock, or check out the multitude of day hikes and short loops. Don’t miss the Cholla Cactus Garden at sundown or the views of the Colorado and Mojave Deserts from atop Ryan Mountain. Its placement right outside Las Vegas makes Red Rocks a perfect winter getaway. The beautiful sandstone peaks provide ample opportunities for every sort of climber. If you’re a boulderer, check out the Kraft Boulders for concentrated bouldering, or venture deep into the canyons for a solitary experience. 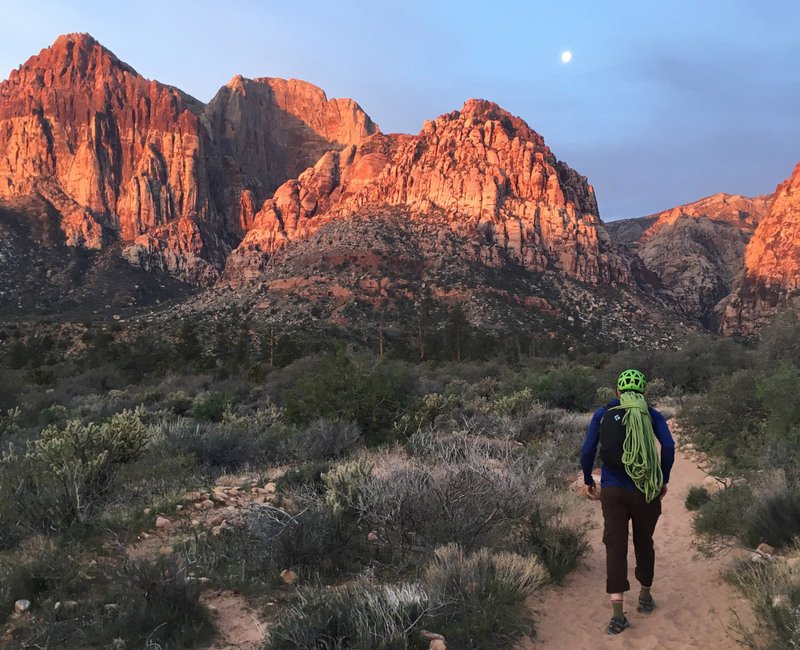 Sport routes are ample throughout the area, especially in Calico Basin and The Black Corridor, where great lines are just an arm’s length apart. 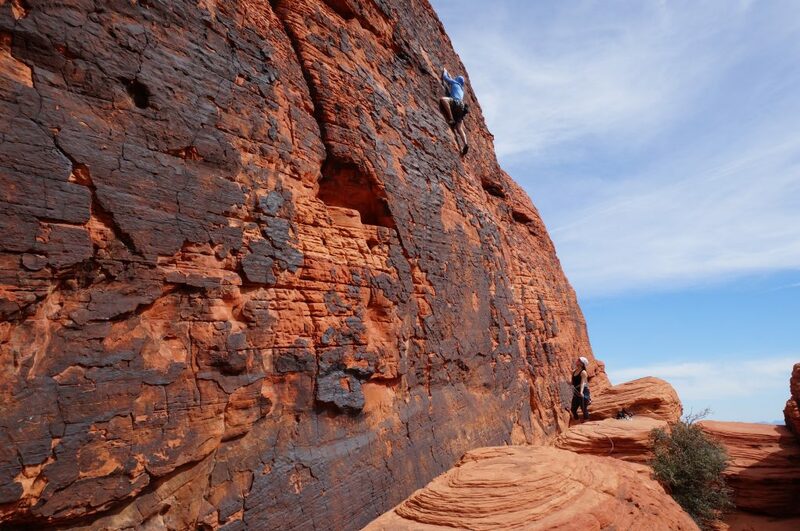 For the adventure climber, Red Rocks is a no-brainer, as it offers routes over 1,000 feet tall for full-day outings on bomber, well-protected rock. Stay at the nearby campground, snag a local Airbnb, or go all-out and hit the Strip to try to make back that money you spent on new cams. Rain is infrequent in this area, especially compared to the East, but if there is precipitation, be sure not to climb until the rock has fully dried to preserve the routes. 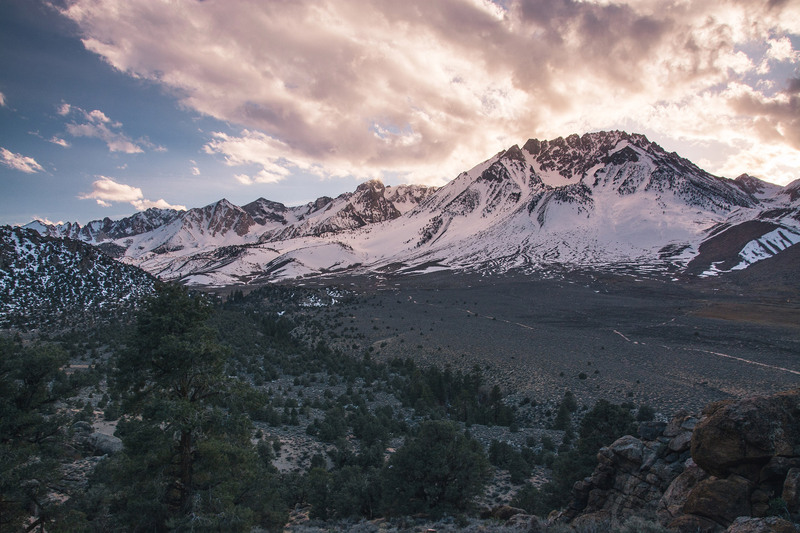 A favorite among climbers, this unassuming town on the eastern slope of the Sierra Nevada is California’s most concentrated climbing hotspot, packed with sport destinations, world-famous bouldering areas, and alpine granite masterpieces. The steep-walled Owens River Gorge cuts through hundreds of feet of volcanic tuft. As such, the sport climbs here are long and pumpy, favoring endurance over all else. Despite sharing the same rock as the gorge, the boulders on the Volcanic Tablelands offer more gymnastic movement, involving pockets and overhanging features. 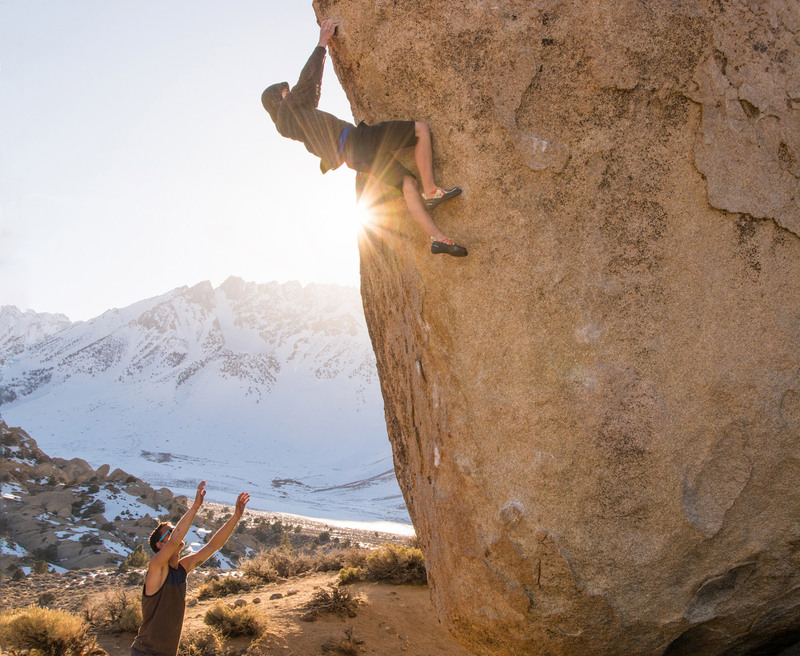 It stays much warmer here than any other climbing area in Bishop, so it’s a great option when the temperature drops. The real crown jewel, though, is the Buttermilks. These granite monoliths sit below the imposing Mount Tom on the edge of the Owens River Valley. 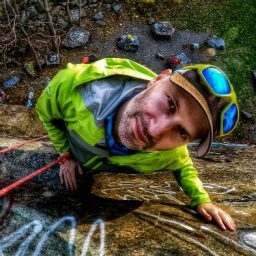 They have a reputation as only a location for highball bouldering, but that isn’t true. Rather, there are classic climbs for people of all comfort levels. The town is full of climbers, van-dwellers, and vacationers alike. Check into one of the hotels in town or make use of the Pleasant Valley Campground at only $2 a night. Being only 45 minutes from Mammoth means that you could be bouldering at the Buttermilks in the morning, and make it to Mammoth Mountain for some fresh Sierra powder by lunch. The birthplace of American bouldering is a winter destination that still holds up to this day. Much has changed since the legendary John Sherman devised his V-grade scale here. Currently, two of the three areas, East and West Mountains, are closed to the public without a paid guide, due to a high concentration of sensitive pictographs. North Mountain is open without a guide, but climbers must make reservations in advance. Despite the red tape, it remains an awesome spot to spend a trip and provides a more private and pure experience than what you would find at places like Red Rocks. 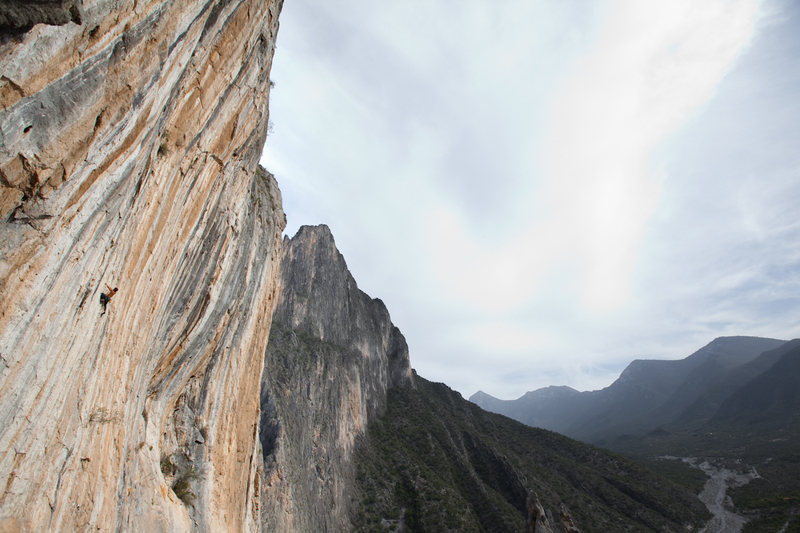 Ever dream about doing Yosemite-esque, big-wall climbing with nothing but a stash of quickdraws? Dream no more, because, just south of the border, the small town of Hidalgo is a limestone paradise and more. Fly to Monterrey, Mexico, and catch a taxi, or punch it south from Laredo, Texas, for three hours to arrive in Hidalgo. Nearly everything is a sport line that is well-bolted and without crazy runouts, including 20-pitch big-wall routes. If 2,000-foot epics aren’t in your wheelhouse, more reasonable multi-pitch outings and single-pitch cragging can be had all within a short walk or drive from town. Stay at one of the numerous campgrounds and climbers’ hangouts here, all with views of cliffs like Rancho el Sendero and Homero. Long known for its outstanding climbing, Southeast sandstone is some of the finest anywhere. It’s perhaps best known as a fall destination because of places like Red River Gorge in Kentucky and New River Gorge in West Virginia, but drive a little further south towards Chattanooga and get ready to slap some Southern slopers through until spring. All of these destinations are close to each other, so hitting them all in one short trip is possible. Word to the wise: This is still the East we’re talking about, so it rains and will likely be chilly. Need a place to stay on your Southern journey, and you’re not into stealth camping? Hit up the Crash Pad in Chattanooga for a place to…crash, as well as pick up some beta on all the locations. It’s also a nice central location for all the bouldering in the area. 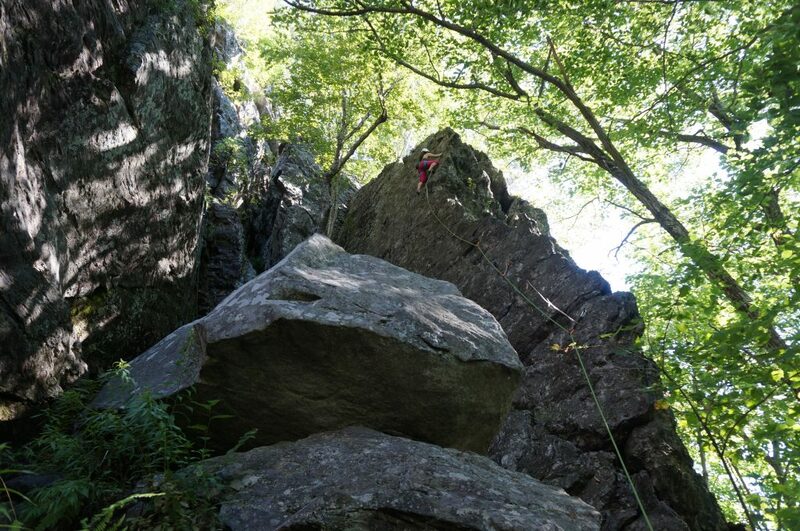 Stone Fort (aka Little Rock City) has something for everyone: great, inspiring lines at all grades, slopers, crimps, highballs, and lowballs. The boulders are on a golf course, so park at the climbers’ specific lot and sign in at the clubhouse. More secluded than either Stone Fort or HP40, Rocktown is a newer area with fresh problems still being put up. 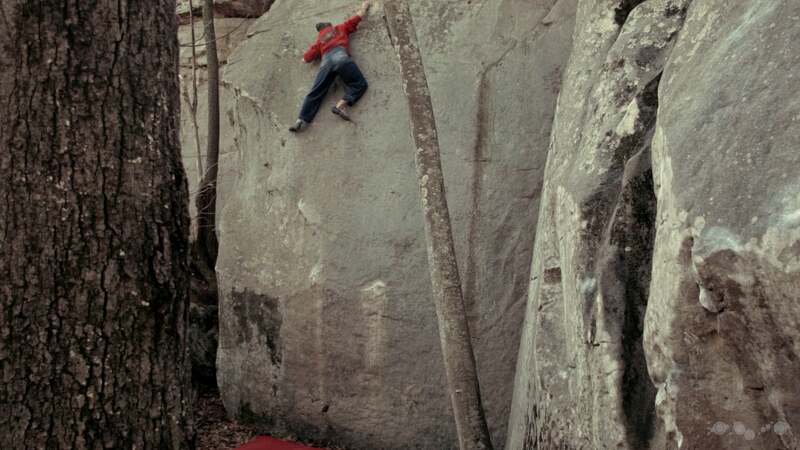 The rock is similar to elsewhere in the Chattanooga area, with huecos, crimps, and a plethora of slopers leading to even more slopers and then to the top-outs. Free camping is possible in the lot for those looking for a longer-term visit or wanting to keep costs down. A remarkably dense boulder field that can be traversed in 10 minutes means there’s less approaching and more sending. 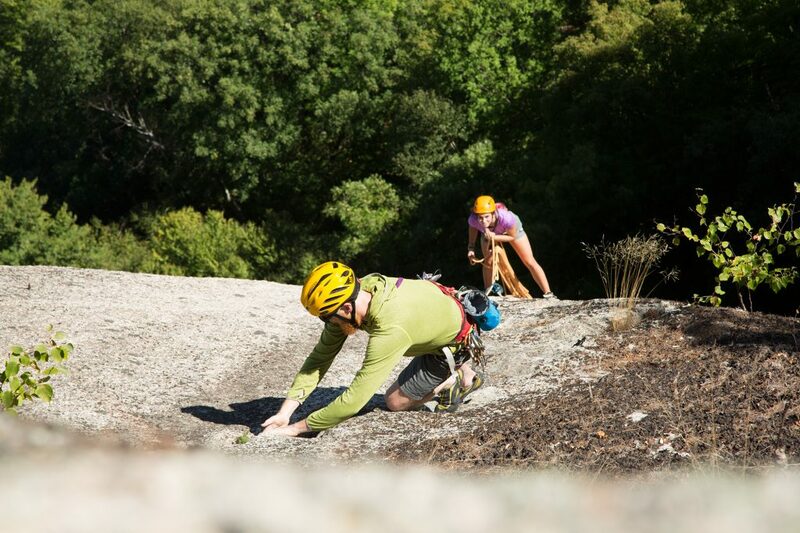 Get your top-out pants on, because these routes are challenging and slopey. And, stock up on skincare materials—it’s like climbing on sandpaper here. HP40 is on private land in the foothills of the Southern Appalachians, so be sure to respect the owners. If you aren’t making use of the camping on site, pay your bouldering fee to ensure that we can continue to climb here. It’s less than two hours from Chattanooga, so it’s a good option to stay here for a few days at a time before returning to the other boulder fields nearer to the city. The American Alpine Club is bringing its collection of climbers’ campgrounds and huts, which includes a campground in the ‘Gunks, to the best sport crag in the East. 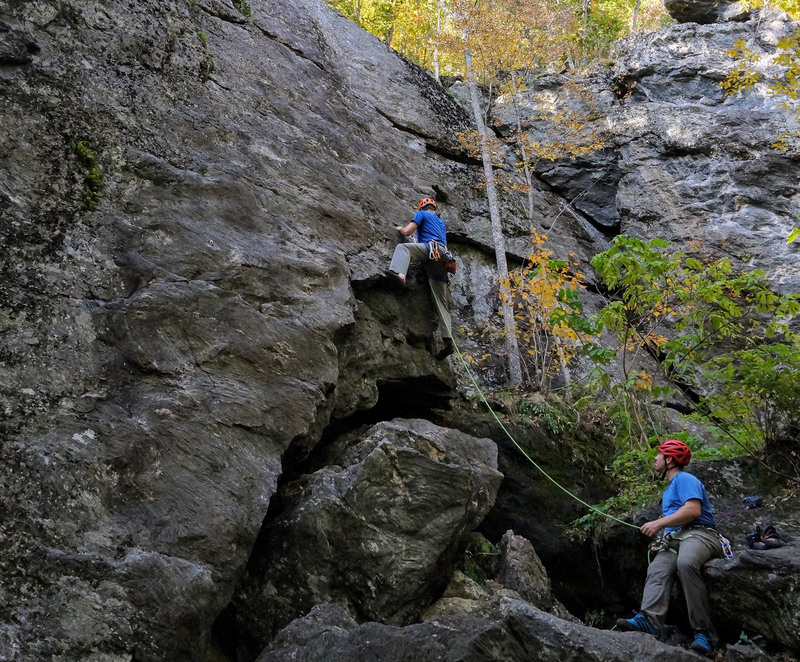 The organization announced, today, that is has purchased Rattlesnake Campground adjacent to the Rumney Rocks Climbing Area in New Hampshire. 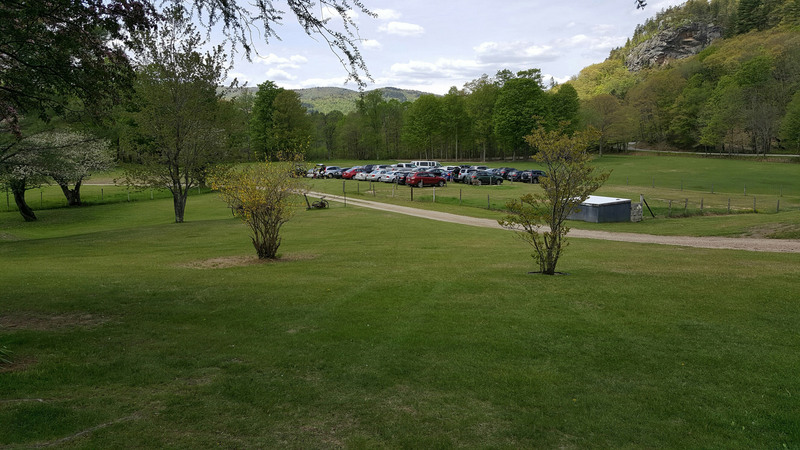 Previously owned and operated by a local couple, the 15-acre property sits between the Baker River and Buffalo Road, directly across the street from the Meadows and Parking Lot Walls on the crag’s east side. 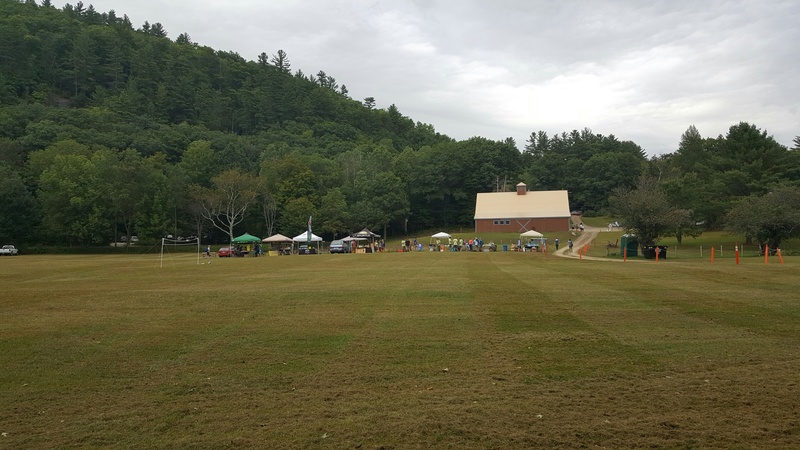 Rumney Rattlesnake will continue to act primarily as a first-come first-serve campground with a large communal area, fire pits, and picnic tables. In addition, the AAC plans to set aside a small number of online-reservable, private campsites in the near future. Porta potties and access to potable water will continue to be available at the property’s barn, but the AAC also plans to open the barn in the future as a community space and weather shelter for climbers with full bathrooms and showers. AAC members will see a discounted $8 per night rate starting immediately and non-members will be charged $12 per night. Dogs are also now allowed on the property. 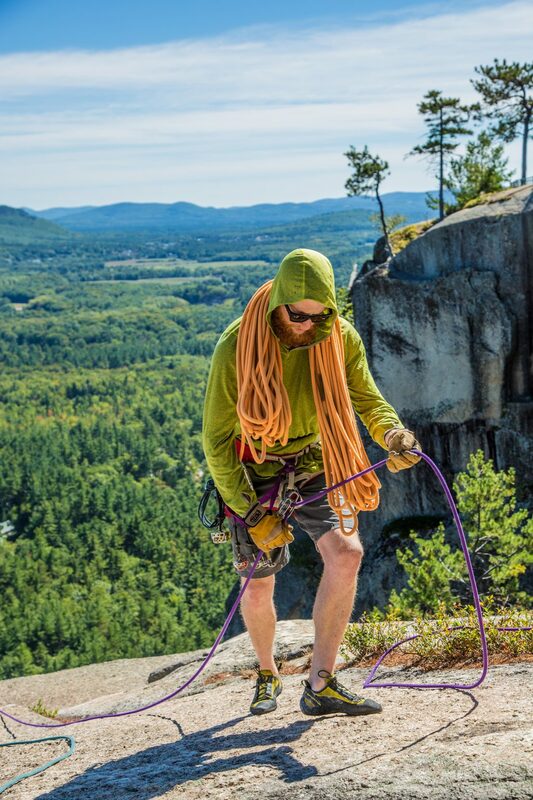 “With the Rumney Campground now part of the AAC’s growing lodging network, we are looking forward to welcoming climbers from around the Northeast and the world to experience this wonderful place, learn, challenge themselves, and meet old and new friends,” said Powers.